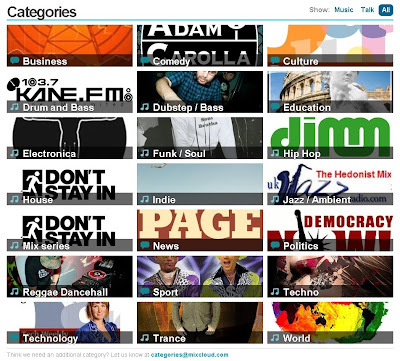 Mixcloud is variety of good radio stations that cover news, music, sports, talk, comedy, and more. Great to listen to while working, AND IT'S FREE. I always enjoyed attending lectures in college and now I can get great lectures from around the world FOR FREE! I've been listening to the Stanford Technology Venture broadcast about Leadership. Great stuff. FREE!